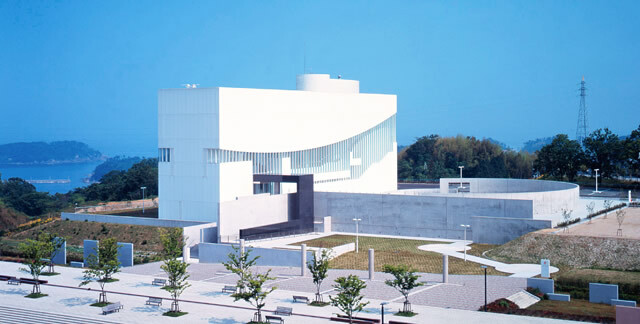 The Hamada Children's Museum of Art was established in 1996 as a museum for the children of today. With the thought that exposure to art from a very young age fosters creativity and cultivates the senses, we have opened a wide range of exhibits and devoted our efforts toward creative activity. We strive to be a museum where people can “See,” “Create,” and “Play” together. We hope that each and every one of the activities at our museum becomes an irreplaceable memory for our children and food for rich spiritual growth. We hope, too, that parents and grandparents and people of all generations can play and explore along with their children. The building was designed with the image of “a ship of creation and beauty that hangs over the sea” in mind. In that sense, kids are welcome to climb aboard our ship and set out in high spirits, to explore an endlessly-extending ocean of creativity.